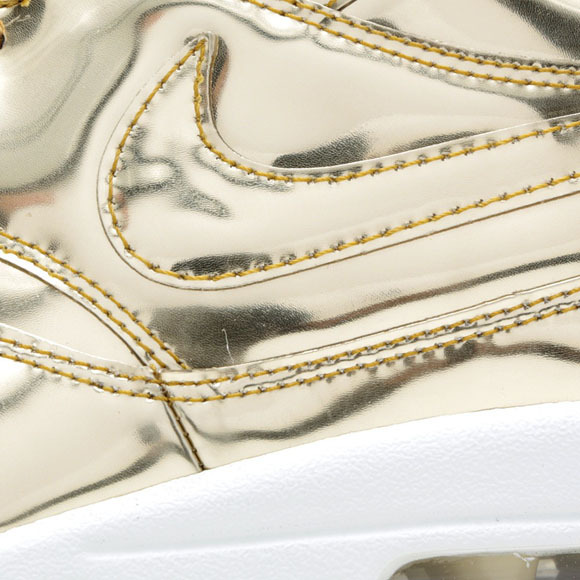 There are probably two kinds of Nike Air Max 1 fans who can enjoy the most recent release of this brand: the Nike Air Max 1 – Liquid Metal – Gold. 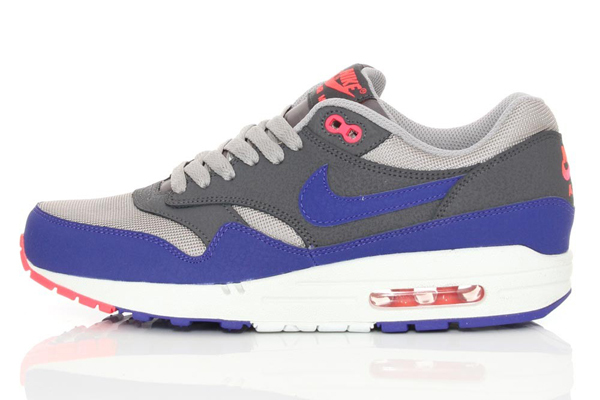 ‘Normal’ Nike Air Max 1 lovers will may be get it a little hot and cold at the same time when they take a look a these intens new shoes. 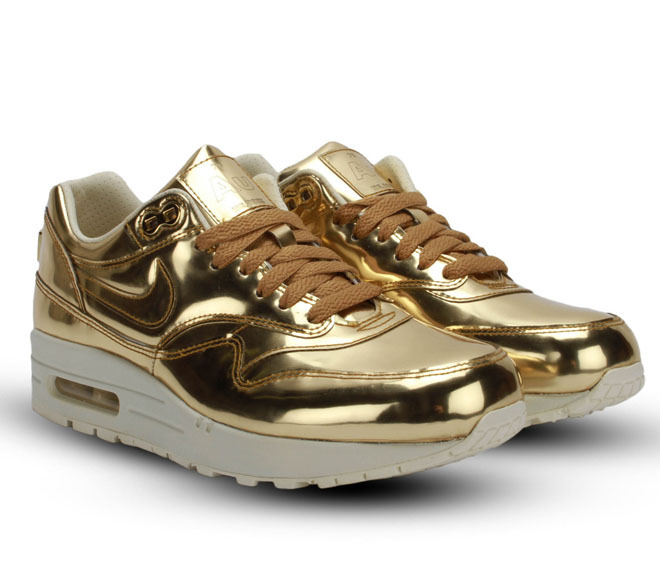 But on the other hand, they might see why people like them. 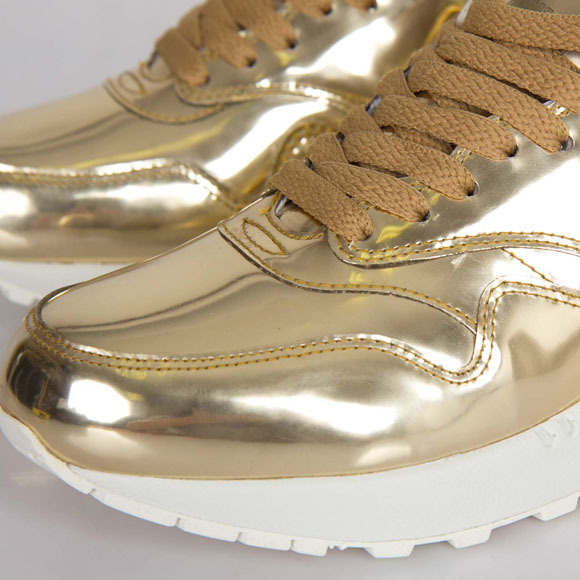 What we think is so awesome about the Nike Air Max 1 Liquid Metal Gold is that this shoe goes much further than the normal ‘shinyness’ at for instance a patent leather shoe. 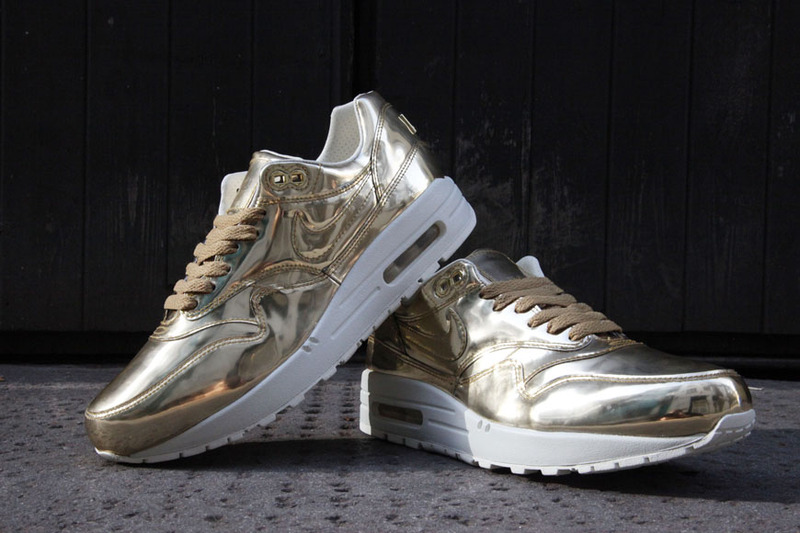 With this shoe it looks like liquid metal was poored over the shoe. 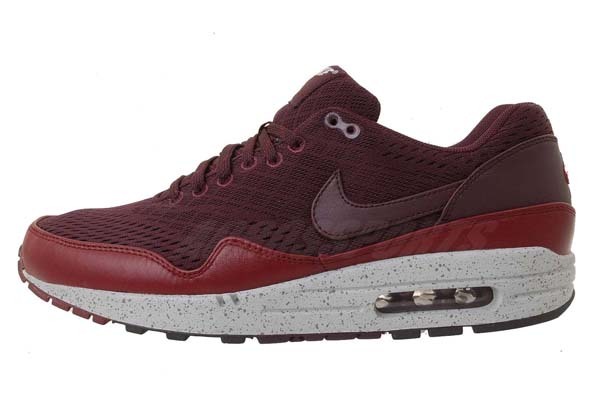 So they also look like when you have them on your feet, it feels like your have the weight of a few pounds to take with you all day. 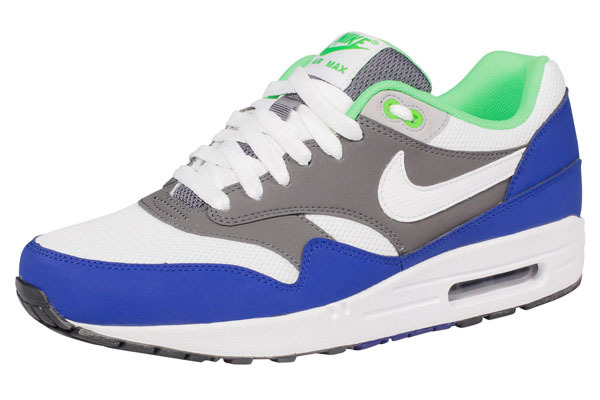 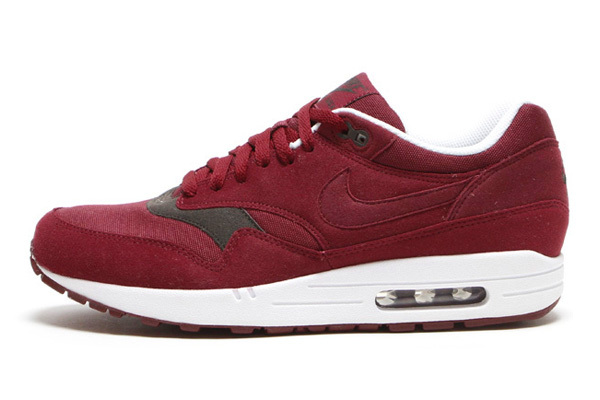 But that’s of course not true because it’s still a Nike Air max 1 with ultra comfort. 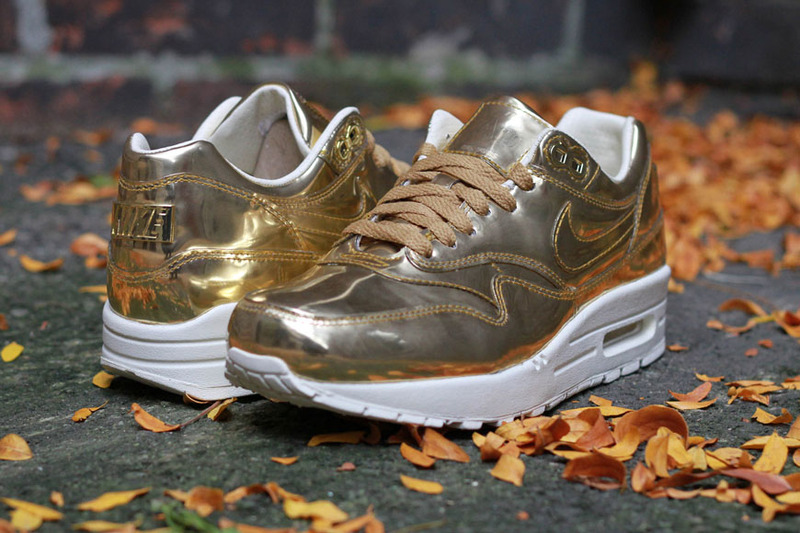 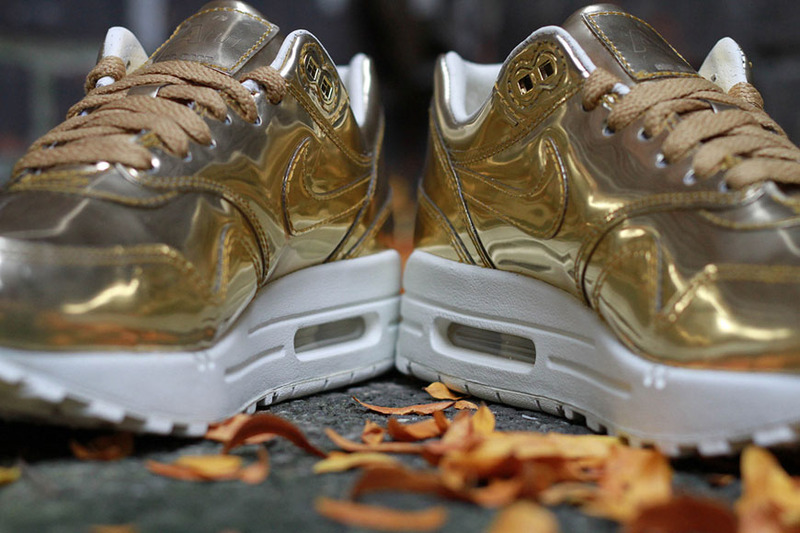 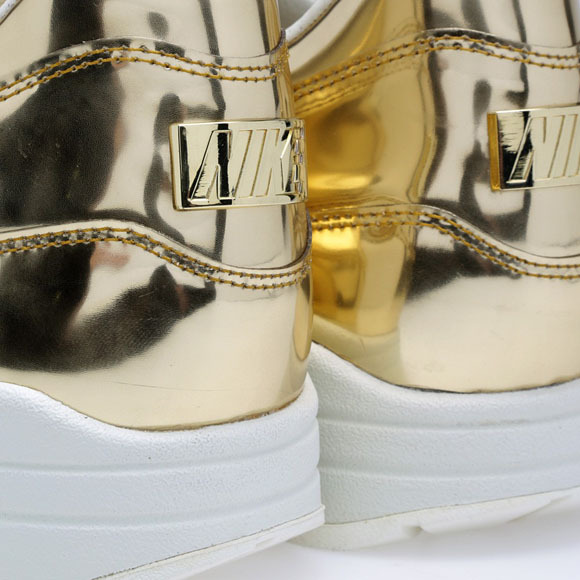 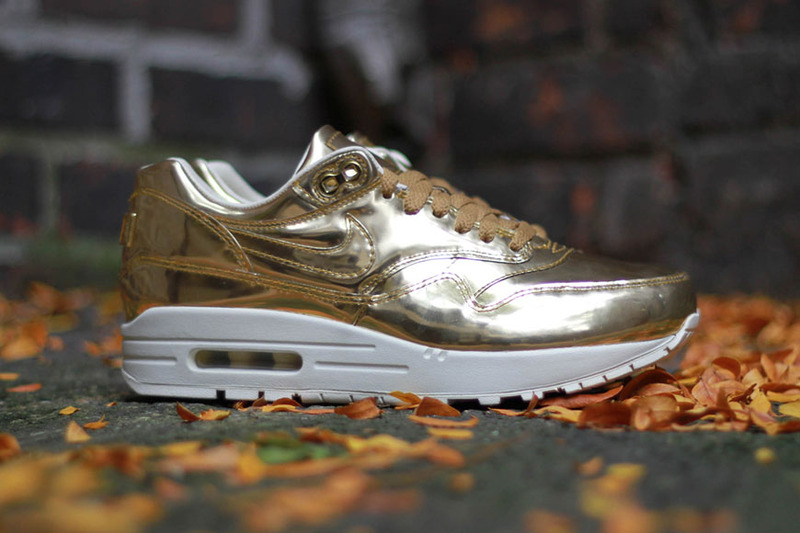 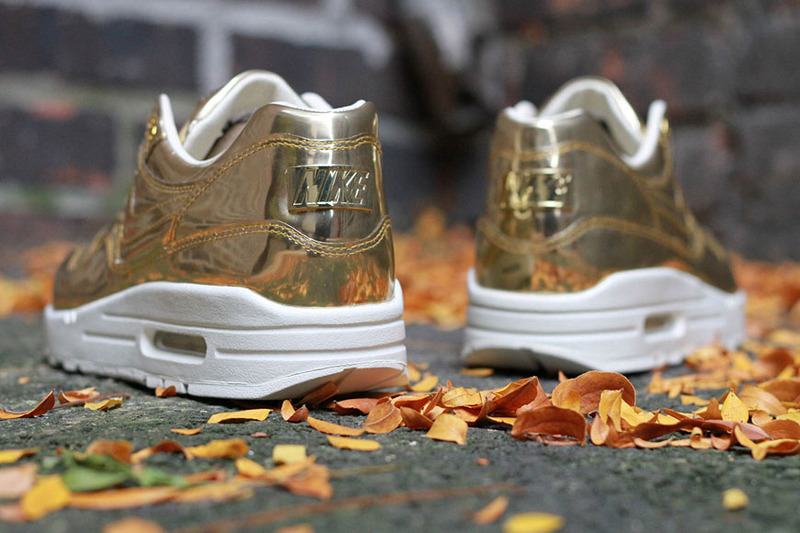 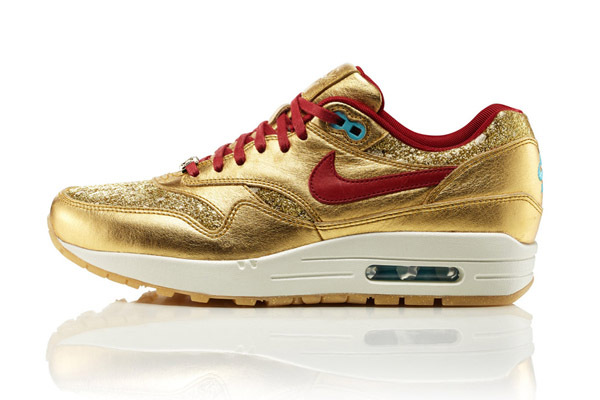 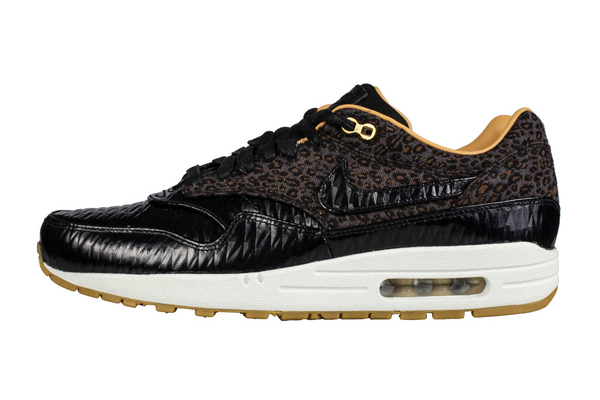 We think there are two kinds of people want to wear these Nike Air Max 1 Liquid Metal Gold. 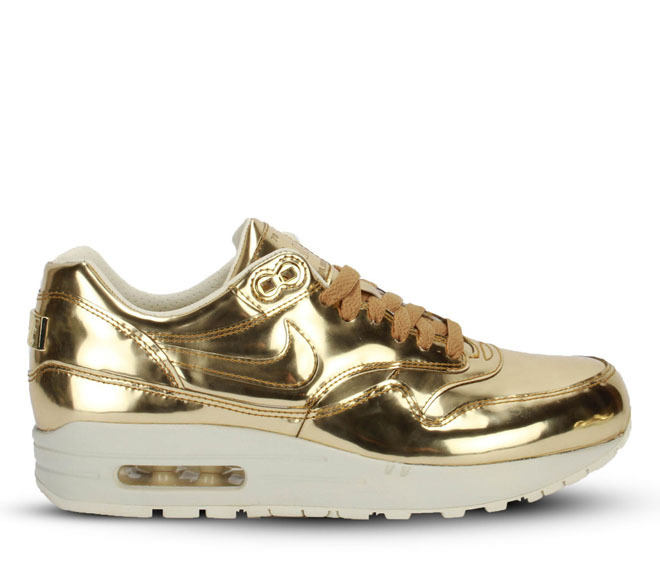 First the people who don’t care so much about clothes but when it comes to shoes, they are totally up to date. 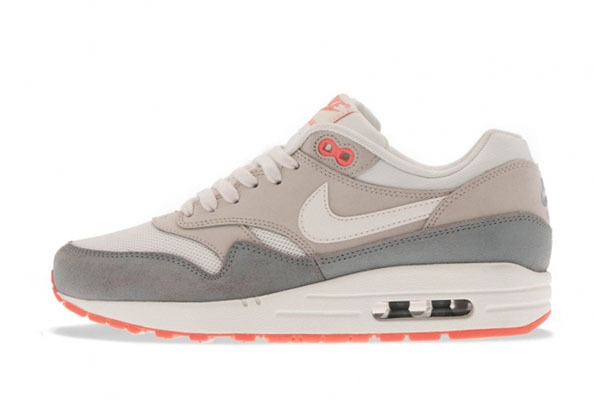 And second you’ve got these ultra cool and on trend people who dress all minimalistic and Scandinavian. 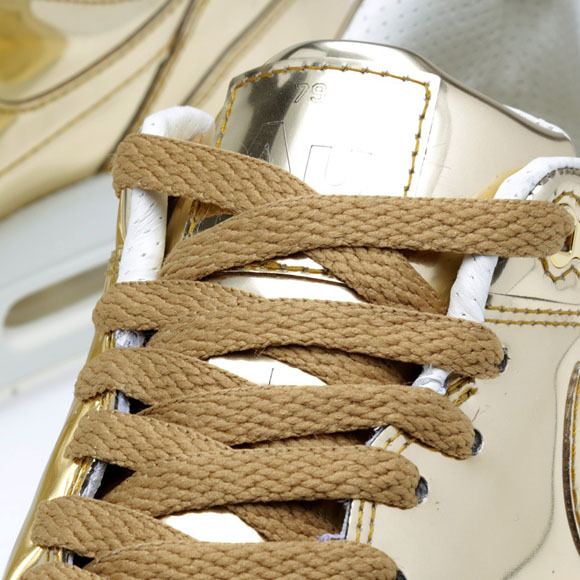 This can be super cool but you also need some element that makes the look pop. 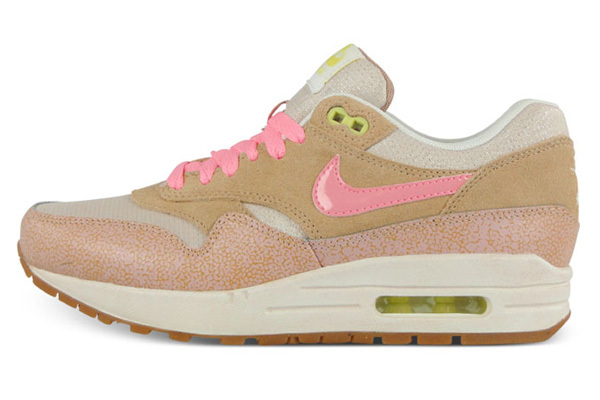 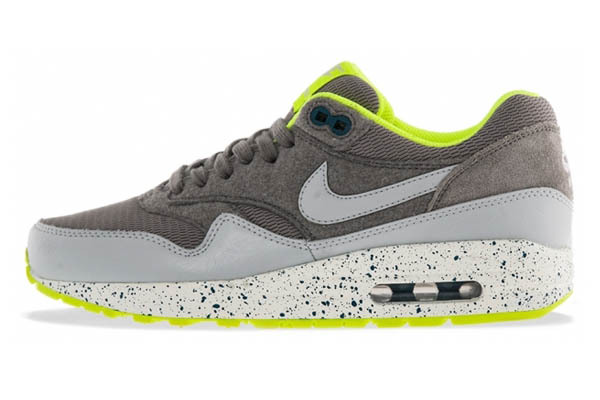 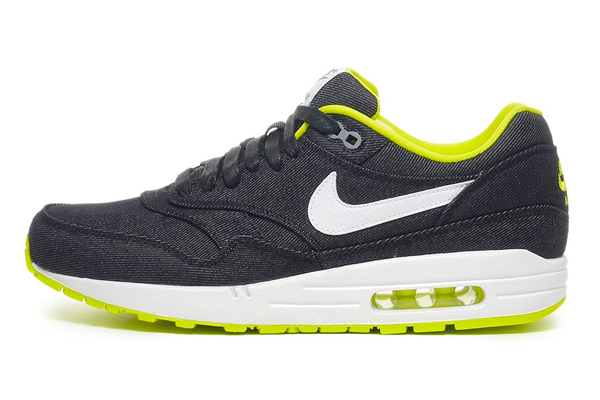 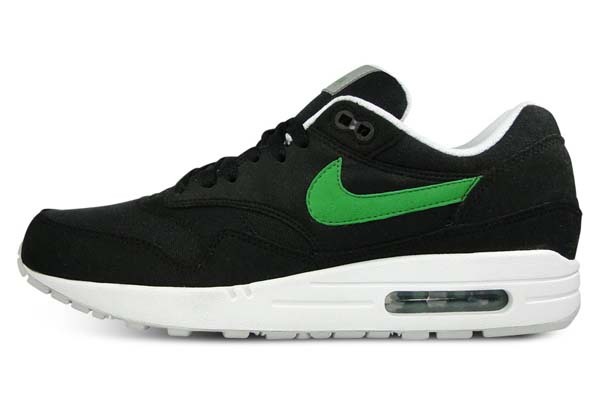 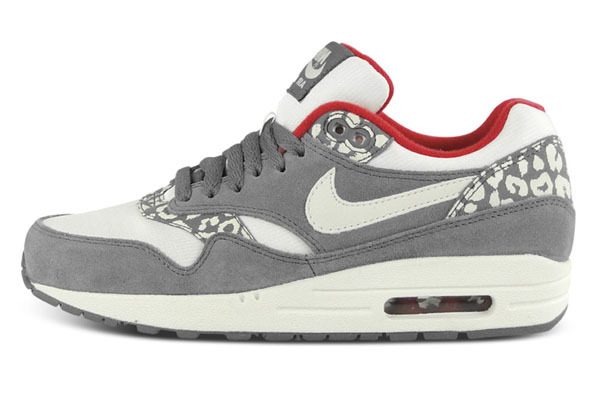 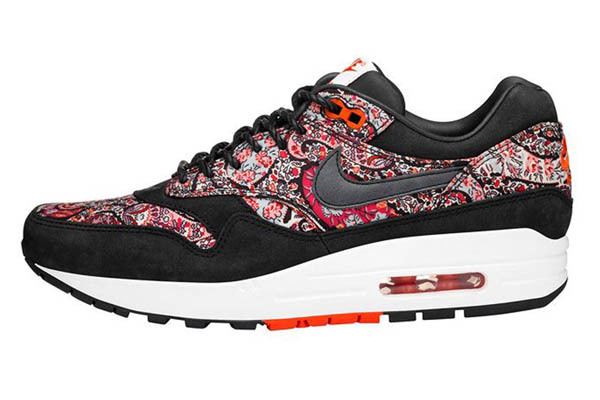 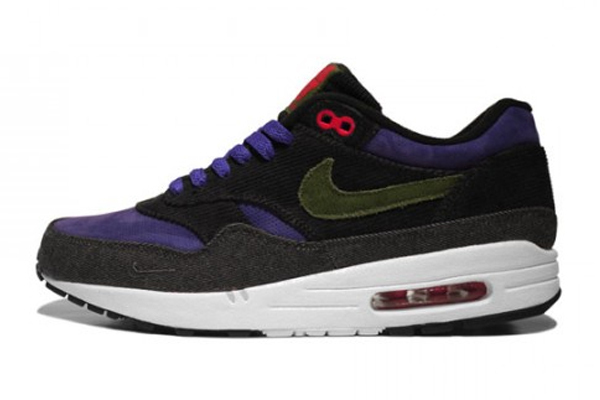 Well these Nike AM1’s are the perfect element. 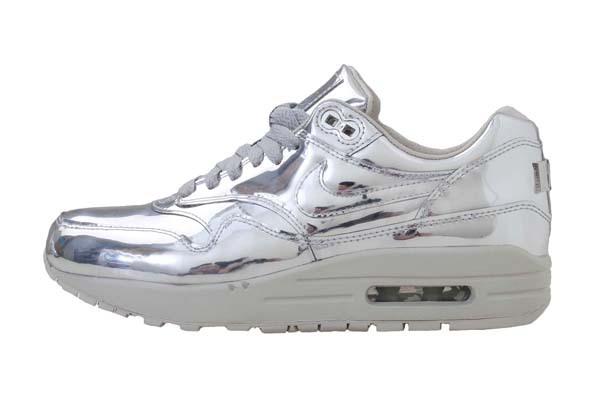 Dress with all white and you are ready for summer!